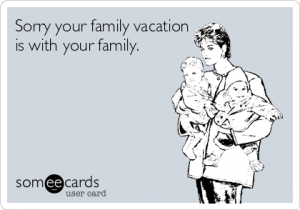 My parents when we were little would take us to nearby city with fun things and send us off with aunts to do fun things and they’d get a day away from us, and we would be with aunts who got to be the ones who did fun. 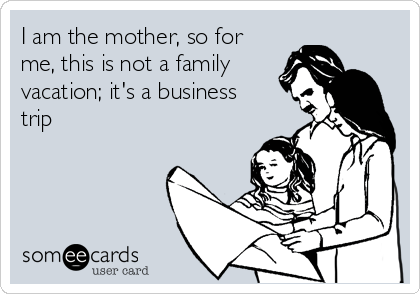 Sometimes mom would go with, but even having an additional person I think helped make it easier, especially when that was someone different from parents. 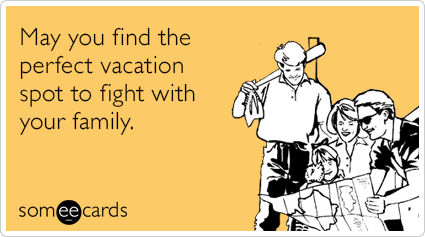 I am seeing the wisdom in taking vacation after vacation, especially if the kids are in daycare that day! So sorry it went so poorly! I think having low expectations help a LOT in these situations. I think if you can find a trip that will keep your least happy person alright then you will be fine. It is a delicate balancing act . Don’t give up!